Hurdle’s playing career — politely described as “utterly modest”4 — fell far short of the hype. Appearing in 515 games over 10 seasons for the Royals, New York Mets, Cincinnati Reds, and St. Louis Cardinals, Hurdle batted.259 with 32 home runs and 193 RBIs. In only three of those seasons did he make more than 200 plate appearances in major-league games. Hurdle made more of a mark in baseball as a successful manager, for both the Colorado Rockies and the Pittsburgh Pirates. Both teams were in the midst of prolonged periods of losing at the time Hurdle took over. He led each to a level of success including postseason play — once with the Rockies in 2007, when they went to the World Series, and three times with Pirates in 2013 through 2015. Clinton Merrick Hurdle was born on July 30, 1957, in Big Rapids, Michigan, to Louise Hurdle and Clint Hurdle Sr. When he was 3 years old the family moved to Merritt Island, Florida, site of NASA's Apollo space program at the Kennedy Space Center, when his father joined Grumman Aircraft, which had a contract with NASA. Baseball was a family tradition. His paternal grandfather had been offered a contract by the Cincinnati Reds at age 15, a day before his own father died, but turned it down so he could work to help support his family. Clint Sr. played college baseball at Ferris State University but had to forgo a baseball career after being drafted into the military.10 A Hurdle family ritual occurred regularly on the baseball field behind the family home, with Clint Sr. pitching batting practice to his son, with Hurdle’s mother, his two sisters, and the family dog playing outfield. Hurdle starred in baseball and football at Merritt Island High School. He was named an all-state quarterback in his senior year after leading the team to a state championship. He received more than a dozen scholarship offers. The University of Miami wanted him to play both baseball and football, and an offer came from Harvard.11 Hurdle chose instead to make himself available for the 1975 first-year player draft. Hurdle’s ascent through the Royals’ minor-league system was rapid. The 6-foot-3, 195-pounder played in the outfield at each level, batting left-handed and throwing right-handed. With the Royals rookie league team at Sarasota in 1975, he was named to the Gulf Coast League All-Star team, batting .274 and leading the league with 31 RBIs. The next season, playing for the Waterloo Royals in the Class-A Midwest League, he was named “Prospect of the Year,” clubbing 19 home runs, tying him for second in the league, with 89 RBIs in 127 games. When the Royals headed north for the 1977 season, they promoted Hurdle to Triple-A Omaha, where he batted .328 with 16 home runs and was named American Association Rookie of the Year. A September call-up, he made his major-league debut on September 18, 1977, starting in right field and batting fifth in a home game against the Seattle Mariners. After grounding out to third base in his first at-bat, Hurdle hit a two-run homer off the Mariners’ Glenn Abbott. Hurdle was 20 years old, and the youngest player in Royals history. He was also the first Royal to hit a home run in his first start.17 Playing in nine games over the remainder of the season, Hurdle hit .308 with two homers and seven runs batted in. Hurdle managed to focus on producing on the field during spring training in 1978 despite any distraction created by the Sports Illustrated cover, performing well enough that the Royals moved veteran first baseman John Mayberry to Toronto. Although this made room in the lineup for Hurdle, it had him playing a position at which he had no experience except for about 14 games in winter ball.18 Nonetheless, beginning Opening Day and until July 2, Hurdle was the Royals’ everyday first baseman. Working with his father at the batting cage, he changed from a negative frame of mind to a positive one, relaxing and finding a more comfortable stance at the plate.23 Recalled to the Royals in mid-August, he hit an identical .240 over the rest of the season. Although Hurdle was the regular right fielder for most of the season, over the last few weeks Frey platooned him with veteran outfielders Jose Cardenal and Rusty Torres. The platooning continued during the ALCS, in which Hurdle was platooned in right field with John Wathan. In the World Series Hurdle started all four games in right field and batted .417 with two walks in 14 plate appearances. Hurdle began the 1981 season as the Royals’ starting right fielder, going 7-for-15 with two home runs in the first five games. On April 14 he injured his back sliding into third base and spent two stretches on the disabled list for a total of 72 days.25 Another major disruption was the players strike from June 12 to August 10. During the strike Hurdle tended bar, saying that he was doing it just to keep busy.26 After the strike Hurdle was the Royals’ regular right fielder for the last two weeks of the regular season, batting .310. Limited to 89 plate appearances, Hurdle batted .329 with a .553 slugging percentage. The Royals were swept by Oakland in three games in the AL Division Series. Hurdle had three hits and a walk in 12 plate appearances. As a member of the Reds, Hurdle was united with Bill Fisher, the scout responsible for his signing with the Royals, who was the Reds’ pitching coach. Penciled in by manager John McNamara as the team’s starting left fielder at the outset of the 1982 season, Hurdle batted only .182 with four hits and one RBI in his first eight starts and was reduced to a reserve role before being optioned to the Reds' Triple-A affiliate, the Indianapolis Indians, on May 15.28 In 88 games with Indianapolis, Hurdle batted .245 with 12 home runs. He was not recalled. After batting .285 with 22 home runs and leading Tidewater in doubles, hits, runs scored, RBIs, and walks, Hurdle got a September call-up. Mets manager Frank Howard moved Hubie Brooks to second base to give Hurdle an opportunity at third base. In nine games Hurdle made four errors in 20 chances and batted .182 with only two extra-base hits and two RBIs in 34 at-bats. After the season he was sent outright to Tidewater, where he spent the full 1984 season. Although his batting average dropped to .243, Hurdle led the Tides in home runs (21) and walks (79). Because of his versatility in the field, the Mets brought him to 1985 spring training as a nonroster invitee. Hurdle spent the entire 1985 season with the Mets but played in only 43 games, among them 17 games behind the plate and 10 in the outfield. In 97 plate appearances, he batted .195 with 3 home runs and 7 RBIs, and was 0-for-16 as a pinch-hitter. Dropped from the Mets’ major-league roster, Hurdle was selected by the St. Louis Cardinals in the 1985 Rule 5 draft. Making the Cardinals roster as a utility player, he played in 78 games, at third base, first base, two outfield positions, and even catching in five games. Hurdle’s versatility made him particularly desirable that year, during which major-league rosters were trimmed from 25 players to 24. At that year’s All-Star Game, Hurdle received the annual Danny Thompson Award, presented by Baseball Chapel to a player “for exemplary Christian spirit in baseball.”37 On the field, he batted .195 with 3 home runs and 5 doubles in 184 plate appearances. After the season the Cardinals declined to offer him arbitration and he became a free agent. Hurdle signed a minor-league contract with the Mets in 1987 and was invited to spring training.38 Calling Hurdle a “leader,” Mets manager Davey Johnson described him as a “great guy to have in the clubhouse” and an “insurance policy” due to his versatility.39 After playing in one game, Hurdle was sent to Tidewater in late April. Recalled for a brief time in mid-June, he made his final appearance as a major-league player in a 5-2 loss to the Phillies on June 26, pinch-hitting for Sid Fernandez. Kevin Gross struck him out looking. On December 1, 1987, in Port St. Lucie, Florida, Hurdle announced his retirement as a player and accepting appointment as manager of the Port St. Lucie Mets of the Class-A Florida State League. He was candid with sportswriters about his mixed feelings over retiring at age 30: He said that while he still thought he could play in the major leagues, he had come to terms with himself — that he was not going to be a Hall of Famer as a player. “Maybe I can do it this way,” he said.40 By the time he retired Hurdle had already managed the Mets team in the Florida Instructional League that fall, getting a head start on his next career.41 It was the first of five consecutive seasons that the Mets would name him as Instructional League manager — a testimonial to the Mets organization’s opinion of his ability in teaching the game. In Hurdle’s first season as a manager, St. Lucie won the second half of the Florida State League’s split season and the league playoffs. Hurdle managed St. Lucie again in 1989, with the team winning both halves of the season. In June and July the Rockies’ pitching woes returned; the team ERA over that time was 5.99. The Rockies finished the season in fourth place. Two high-priced free-agent pitchers, Mike Hampton (7-15, 6.15 ERA) and Denny Neagle (8-11, 5.26, ERA), could not compensate for Jason Jennings’s record of 16–8 with a 4.52 ERA; Jennings became the first Rockies player to win the National League Rookie of the Year Award. For 2003, Hurdle assembled his own coaching staff. Most remained with him during his time with the Rockies until after the 2008 season. After 149 games of the 2007 season, the Rockies were four games out of the NL wild-card spot. At that time what became known as “Rocktober” materialized; the Rockies won 13 of their last 14 regular-season games and tied the San Diego Padres for the wild-card berth. The Rockies then won an unforgettable tiebreaker with the Padres, 9-8, overcoming a two-run deficit by scoring three runs in the bottom of the 13th inning off future Hall of Fame pitcher Trevor Hoffman. 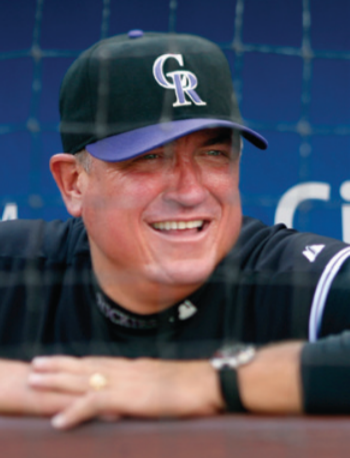 Offered an unspecified role in the Rockies organization, Hurdle chose instead to join the nascent MLB Network, working as a studio analyst for the remainder of the 2009 season. During his brief time there he worked with younger analysts and assistants, in the process becoming acquainted with new-age baseball thought and the world of sabermetrics. In November 2009 Hurdle was hired as the hitting coach of the Texas Rangers. Among a group of talented young players on the Rangers was outfielder Josh Hamilton who, like Hurdle, had been labeled a “can’t-miss” prospect and who had a history of substance-abuse issues, including alcoholism. The Rangers hoped Hurdle could help Hamilton in view of his own history as a recovering alcoholic. Over the last two months of the 2013 season, the Pirates were in a dogfight with the St. Louis Cardinals for first place in the division, separated by two games or less for most of that time. The Cardinals won out, finishing in first, three games ahead of the Pirates, but the Pirates qualified for the wild-card game as the home team, and defeated the Cincinnati Reds, 6-2. In his family life, Hurdle went through the emotional trauma of two divorces prior to his marriage in 1999 to his third wife, Karla, whom he credited with being the major factor in his straightening his life out. While managing in Williamsport, Hurdle met Karla Yearick, an accountant, while having his taxes prepared.81 After six years of dating, Hurdle asked Karla to marry him. She turned him down, telling him that he had to clean up his drinking binges and declaring, “Until you find a way to make yourself happy, you will never make me happy.”82 Hurdle went sober for good in 1998, and “put his demons to rest,” including those that haunted him from the Sports Illustrated cover. When he asked her again, satisfied that Hurdle had accomplished what she asked, Karla said yes. This biography appears in "Major League Baseball A Mile High: The First Quarter Century of the Colorado Rockies" (SABR, 2018), edited by Bill Nowlin and Paul T. Parker. In addition to the sources cited in the Notes, the author also consulted Retrosheet.org, Baseball-Reference.com, and Clint Hurdle’s player file at the National Baseball Hall of Fame. Thanks to Phil Davis, on whose initial rendition of a Hurdle biography this article was built. 4 Tom Singer, “Phenom to Manager, Hurdle’s Brain Matches Brawn,” MLB.com, September 13, 2012. 5 Tom Friend, “Love, Clint,” ESPN.com, September 30, 2013. espn.com/mlb/playoffs/2013/story/_/id/9726637/pirates-manager-clint-hurdle-inspiring-others-daily. 6 Travis Sawchik, Big Data Baseball (New York: Flatiron Books, 2015), 18. 8 Stephen J. Nesbitt, “Note to Self,” Pirate Baseball Issue (supplement), Pittsburgh Post-Gazette, April 3, 2016, newsinteractive.post-gazette.com/pirates/2016/clints-climb/. 10 Clay Latimer, “Life’s Lessons Had Sting for Hurdle,” Rocky Mountain News (Denver), October 8, 2007. 11 In addition to his athletic prowess, Hurdle was an excellent student, graduating from high school with all A’s except for an offending "B” in driver's education. Sawchick, 20. 15 John Brockman, “Clint Hurdle Takes Major Strides,” The Sporting News, October 30, 1976: 40. 17 Del Black, “Kansas City Cookie Quits Without Crumbling,” The Sporting News, October 8, 1977: 11. 18 Sid Boardman, “Royals Crowing Over Bat Feats of LaCock,” The Sporting News, August 26, 1978: 17. 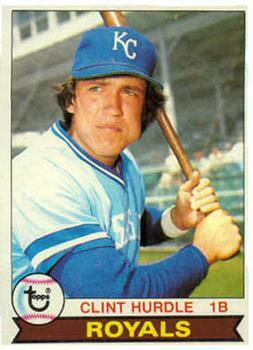 19 Del Black, “Clint Faces New Hurdle as Royals Right Fielder,” The Sporting News, January 12, 1980: 42. 20 Mike DeArmond, “Popeye Saves Hurdle From Kaycee Taunts,” The Sporting News, July 19, 1980: 29. 21 Edwin Pope, “Life Just Starting, Hums Hurdle,” The Sporting News, March 31, 1979: 40. 22 Bill Madden, “Hurdle Changes Attitude,” New York Daily News, August 22, 1979. 24 All 10 of his home runs were off right-handers. 25 “Hurdle Traded to Cincinnati,” Florida Today (Cocoa, Florida), December 12, 1981: 1C. 26 Associated Press, “Serving the Hard Stuff,” July 1, 1981 (Hall of Fame Archives). 27 “Reds Hinting a Foster Deal,” The Sporting News, December 26, 1981: 42. 28 Playing in the Reds loss to the Pirates on the date he was optioned, Hurdle entered the game in the second inning as a pinch-hitter, then remained in the game, hitting two singles and raising his average from .161. to .206 which kept his final average for the season above the Mendoza Line (.200). 29 Tracy Ringolsby, “Hurdle Looking for a Second Chance,” The Sporting News, February 21, 1983: 40. 30 “Hurdle Annoyed by M’s Decision,” The Sporting News, April 18, 1983: 28. 31 “Mariners Release Hurdle Despite Impressive Spring,” Florida Today, April 5, 1983: 1C. 32 Barry Jacobs, “Hurdle Trying to Clear Path Back to Majors,” USA Today, June 15, 1983: 5C. The Mets had been unhappy with third baseman Hubie Brooks’ offensive output. 33 James Tuite, “Mets Give Hurdle Third Base Tryout,” New York Times, September 14, 1983: 89. 34 Jack Lang, “Keystone Combo Is Mets Top Concern,” The Sporting News, March 5, 1984: 19. 35 Joe Gergen, “Hurdle’s Enthusiasm Is Definitely Catching,” Newsday, May 12, 1985. 37 Rick Hummel, “Daley May Go on Disabled List,” St. Louis Post-Dispatch, July 16, 1986: 36. 38 “NL East — Mets,” The Sporting News, February 16, 1987: 34. 39 Joseph Durso, “Hurdle Is Heading for Mets Again,” New York Times, February 10, 1987: D31. 40 Barbara Caywood, “Playing Days End for Hurdle,” Florida Today, December 1, 1987: 23. 41 “NL East - Mets,” The Sporting News, December 14, 1987: 54. 42 Peter Kerasotis, “Skills Pass From Father to Son,” Florida Today, July 16, 1989: 14. 43 “NL East - Mets,” The Sporting News, November 6, 1989: 71. The team folded after one season, finishing in last place. 44 Rob Rains, “Hurdle Charts New Course,” The Sporting News, July 2, 1990: 32. 45 Jackson finished with the league’s best record, 73-62, winning the second half of the league’s split season but losing in the league playoffs. 46 Joe Powell, “Hurdle, Young Are Top TL Manager, Pitcher,” Clarion-Ledger (Jackson, Mississippi), August 31, 1990: 23. 47 John W. Fox, “Eastern League Says Farewell to an Old Friend,” Press and Sun Bulletin (Binghamton, New York), September 4, 1991: 21. The Bills finished in seventh place. One of the few bright spots was the performance of the Mets’ top pick in the 1990 draft, Jeromy Burnitz, who led the league with 31 home runs and tied for the league lead with 85 RBIs. 48 A rash of injuries on the parent club required that a number of players be moved up to the Mets; over the course of the season, 46 players appeared with the Tides. 49 David Jones, “Mets’ Hurdle Continues Climb Up Minors,” Florida Today, August 25, 1992: 21. 50 Mike Holtzclaw, “Going, Going …Gone,” Daily Press (Newport News, Virginia), August 15, 1993. 51 Mets vice president Gerry Hunsicker issued a statement the next day that “[W]ith the hiring of Dallas Green, it became apparent that the advancement of Clint’s manager career in New York would not be able to happen in the future.” “Hurdle Felt Path to Mets Blocked by Green’s Hiring,” Daily Press, September 7, 1993. 52 Bob Klapisch, “Hurdle’s Dismissal No Minor Matter,” New York Daily News, September 12, 1993. 53 “NL,” The Sporting News, March 10, 1997: 33. 54 Cheryl Rosenberg, “Hurdle an Expert on Unfair Expectations,” Palm Beach Post, May 3, 1998: 720. 55 Troy E. Renck, “Rockies Turn to Tracy as Manager,” Denver Post, June 2, 2009. 57 Murray Chass, “Hurdle Works Magic With Pitching Staff,” New York Times, June 2, 2002: G3. 60 Tracy Ringolsby, “Retention of Hurdle, O’Dowd Shows Faith in Direction of Team,” Rocky Mountain News, November 13, 2003. 62 Troy Renck, “Hurdle Couldn’t Have It Both Ways,” Denver Post, May 30, 2009. 64 Troy E. Renck, “Hurdle on Hot Seat in ’07 Season,” Denverpost.com, January 19, 2007. 65 “Crisp Agrees to Boston Deal,” Albany Times Union, February 7, 2006. 66 Jeremy Sandler, “Curse Obliterated as Sox Sweep,” Nanaimo (British Columbia) Daily News, October 29, 2007: 15. 70 Ron Cook, “Hurdle Is a Terrific Hire,” Pittsburgh Post-Gazette, November 16, 2010. 72 Bill Brink, “Clint Hurdle’s ‘Yinzer” Life Suits Him Fine,” Pittsburgh Post-Gazette, October 19, 2011. 73 DJ Gallo, “Sports Biggest Losers,” ESPN.com, September 5, 2013, espn.com/sportsnation/story/_/id/9636396/with-pirates-streak-dj-gallo-takes-look-sports-current-big-losers. 76 Bill Brink, “A Glimpse of What Could Be,” Pittsburgh Post-Gazette, October 2, 2011: 43. 77 Kevin Creagh, “How Clint Hurdle Stayed the Course After 2012’s Implosion,” The Point of Pittsburgh, Nov 25, 2015. thepointofpittsburgh.com/how-clint-hurdle-stayed-the-course-after-2012s-implosion/. 78 Michael Sanserino, “Hurdle Keeps Message Simple,” Pittsburgh Post-Gazette, October 10, 2013: 26. 79 Pittsburgh Post-Gazette, December 22, 2013: 33. 80 Bill Brink, “Clint Hurdle Agrees to Four-Year Contract Extension With Pirates,” Pittsburgh Post-Gazette, September 4, 2017. post-gazette.com/sports/pirates/2017/09/04/Clint-Hurdle-agrees-to-four-year-contract-extension-with-Pirates/stories/201709040104. 82 Phil Rogers, “Hurdle Has Had Big Dreams Since First Day on the Job,” MLB.com, October 2, 2013. 83 For a more detailed discussion on Prader-Willi Syndrome, see Vicki Michaelis, “Clint Hurdle Balances Family Concerns With Baseball,” USA Today, September 12, 2005, usatoday30.usatoday.com/sports/baseball/nl/rockies/2005-09-12-hurdle-family-cover_x.htm; see also Barry Syrluga, “Hurdle Manages to Find Ways Through Difficulties,” Washington Post, October 23, 2007. washingtonpost.com/wp-dyn/content/article/2007/10/22/AR2007102202430.htm. 84 “Clint Hurdle’s 2017 Win for Kids Charity Campaign in Full Swing,” Pirates Breakdown.com piratesbreakdown.com/2017/05/19/clint-hurdle-pirates-wins-for-kids-charity/. 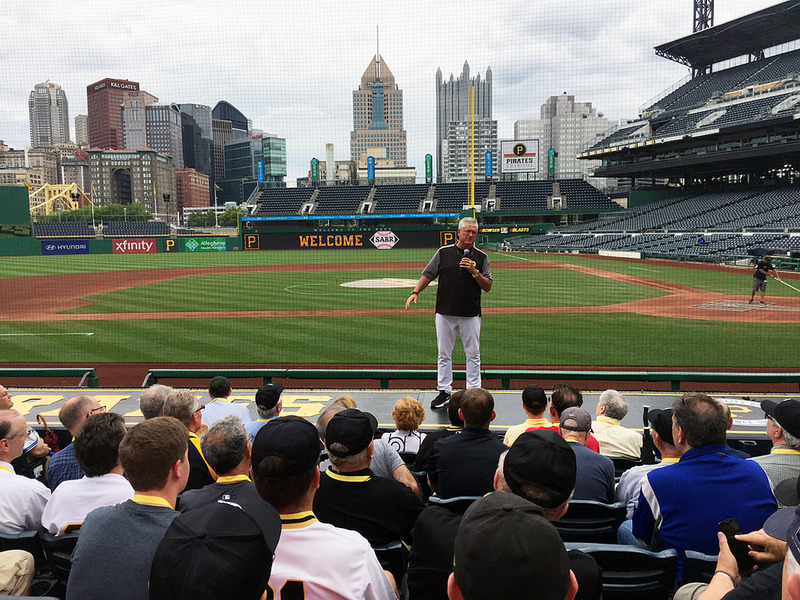 85 Staff Report, “MLBPAA Announces Clint Hurdle as Brooks Robinson Community Service Award Winner for 2014,” Cision, May 15, 2014, a report found in Hurdle’s player file at the National Baseball Hall of Fame. 88 Bob Cohn, “Pirates Manager Hurdle Is Guided by History,” Pittsburgh Tribune-Review, August 14, 2011.